Want waterfalls and wildlife? Then this O’Reilly’s Mountain Day Tour is for you. 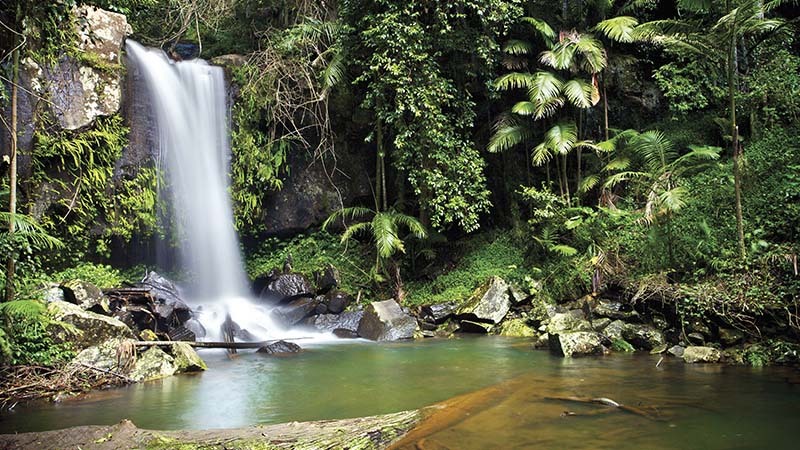 Located in the World Heritage Listed Lamington National Park, O’Reilly’s is one of Australia’s most desirable location to visit. Breathe in the fresh mountain air during this full day tour; with ancient tree species, waterfalls and wildlife in a sub-tropical rainforest. Immersing yourself in the surrounds of the sub-tropical rainforests, you’ll visit O'Reilly’s with a guided orientation tour through this mountain village. And while you’re dining at O’Reilly’s Mountain Café, take in the spectacular views of the mountain range. You’ll also visit Mt Tamborine, a small village in the Gold Coast Hinterland that has plenty of galleries, craft shops and famed fudge factories. Tour departs from Surfers Paradise Transit Centre on Beach Road at 8.45am and returns at approx. 5pm. Comfortable walking shoes and spending money.